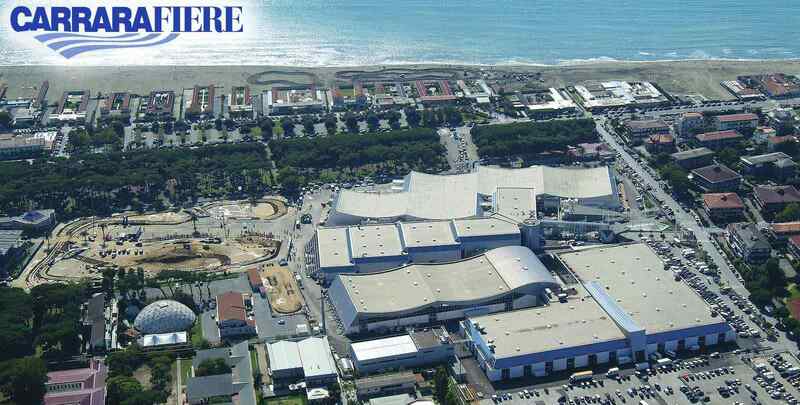 Carrara Fiere is a fair complex located in front of the sea, 133 G. Galilei Street - Marina di Carrara in the Massa-Carrara province. It is easily accessible from the A12 highway (Genoa-Livorno), Carrara exit. Carrara is 60 Km far from Pisa, 120 Km from Florence, 115 Km from Genoa, 230 Km from Milan, 390 Km from Rome. The Fair Complex covers an area of more than 95000 sq. m. - 34.000 sq. m. of them are covered. The parking can host more than 3000 vehicles. The exhibition areas and the conference rooms are all equipped with every service and technology. Three entrances allow the access directly to each exhibition area. The Complex has become well-known because of the Marmo Macchine Fair and now it houses many different fairs.